Working moms have usually been least concerned about their own needs and requirements. The needs of the kids, spouse and work always get the top priority. This leaves the woman with very little or no time for things like exercise, hobbies and other activities. It is important for a working mom to take care of herself because her well-being is directly related to her family's well-being. 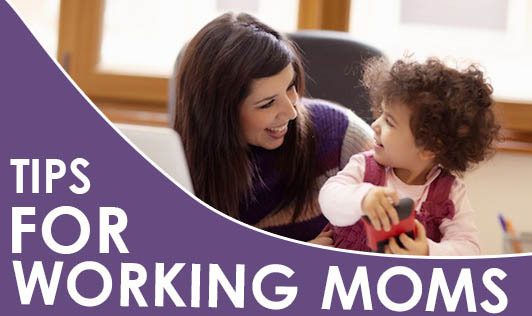 Here are 8 steps every mother going out to work must do, in order to take care of herself and her family. Avoid skipping meals due to lack of time. Carry fruits, raw vegetables, and nuts as snacks. Drink a lot of water. Keep yourself hydrated.